Do you know a baby who is showing reclusive signs? Is he making less eye contact with you? The child may be having Tay Sachs Disease, for these are its surest signs. 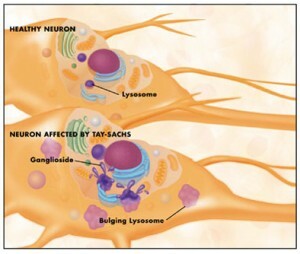 Read on for Tay Sachs Disease information, Tay Sachs Disease definition, its causes, symptoms, diagnosis and treatment. What is Tay Sachs Disease? 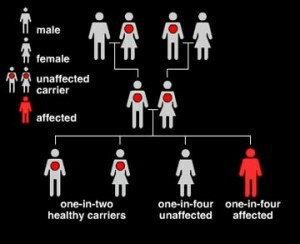 1 What is Tay Sachs Disease? Tay Sachs Disease (TSD) is a rare disorder that affects the nerves of the brain. The condition is also known as Hexosaminidase A deficiency or GM2 Gangliosidosis. This is the most common type of Tay Sachs Disease. The symptoms of this form of TSD are typically seen in children who are more than 6 months old. In worse cases, a child affected by this disorder may turn blind. This condition is caused by a deficiency of the Hexosaminidase-A (Hex-A) enzyme. The symptoms of this form of Tay Sachs Disease appear in children between 2 and 5 years of age. This is also known as Late Onset Tay Sachs Disease. It is a rare form of TSD and is caused by a total lack of the enzyme Hexosaminidase-A (Hex-A). It develops in children who are slightly older in age. Tay Sachs Disease is named after Warren Tay, a British ophthalmologist who was the first to report the symptom of the condition in 1881. He reported about a patient with a cherry red spot in the eye, which is one of the major signs of having this disease. It also owes a part of its name to a New York neurologist Bernard Sachs who reported about its incidence in babies of Eastern European Jewish origin. The condition arises in people of all ethnic backgrounds. However, it is more common in people of Askhenazi Jewish and Eastern European origin. Other high-risk communities are French Canadians, Pennsylvania Dutches and Louisiana Cajuns. The signs of the disease are not generally apparent in the initial stages. A child born with this disease appears perfectly normal. It is only after sometime that the Tay Sachs Disease effects show themselves. In the Classic Infantile form of the condition, the symptoms of Tay Sachs Disease start to appear when the child is 3-6 months old. The baby makes less movement. Smiling, eye contact and actions are reduced. The social skills are delayed. The baby’s ability to perceive and respond to its surroundings also suffers. The child lacks zest and becomes irritable. The head may grow larger than the rest of the body. The nerve cells expand due to fatty material. In the advanced stages, the child may have difficulty in eating. The motor skills become impaired. The muscles are not well developed and the intelligence also gets affected. In the final stages, the child may get blind or become deaf. Despite good care, most children with Tay Sachs Disease (TSD) die eventually. The sufferers of this disease do not live too long. Many die before they are 4-6 years old while some can survive up to 12 or 13 years of age. Tay Sachs Disease is generally caused by the deficiency or absence of the enzyme known as Hexosaminidase-A enzyme (Hex-A). An absence or low level of this enzyme causes an accumulation of a lipid or fatty substance called GM2 Ganglioside. This lipid deposits itself in the nerve cells. In patients of Tay Sachs Disease enzyme absence is the main causative factor. The process of lipid accumulation is known as “Substrate”. It causes progressive damage of the nerve cells. This fatty material causes mental and physical deterioration in the sufferer. For Tay Sachs Disease genetics plays a major role. Tay Sachs Disease results from a genetic mutation. A child can get this disease if both parents have this mutated gene. Generally, 1 in 250 people is a carrier of this disorder. But in some communities like Ashkenazi Jews, 1 in 27 people carry this chromosomal mutation. Children born out of a marriage within such a community are at high risk of developing this condition. The most common Tay Sachs Disease testing involves a blood test. A blood test can immediately determine this disorder. For a proper diagnosis of Tay Sachs Disease eyes are often tested. Doctors observe the retina of the patients with an Ophthalmoscope. In all patients with Tay Sachs Disease cherry red spots appear in the retinal area. 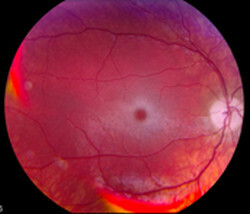 Detection of a red spot in the retina is one sure way of diagnosing the condition. A microscopic analysis of neurons is also often carried out to see if there is an excess accumulation of Ganglioside. Tay Sachs Disease cure is not possible. As of now, there is no cure for this health condition. Medicines are used only to keep the symptoms under control. In the initial stages, seizures are controlled with the aid of Anticonvulsant medicines. Proper nutrition is required to keep the sufferer in good health. Hydration and similar methods are also necessary to keep the airways open. In advanced stages, children may need a feeding tube. This will help kids suffering from problems in eating. Therapies are also quite necessary in controlling the symptoms of this condition. Gene Therapy, Neural Cell Stem Therapy and Pharmacological Chaperone Therapy are some widely known therapies used to tackle the disorder. The prevention of this disease can be made possible through Tay Sachs Disease screening. Carrier Testing and Prenatal Testing are used to check the presence of any defective copy of a gene. These steps are used in couples who belong to high-risk populations such as Ashkenazi Jews. Ashkenazi Jews are found to be at high risk from this condition. Check out these pictures of Tay Sachs disease to understand more about it. Tay Sachs Disease patients normally die by 4 years of age due to recurrent cases of infection. Despite best care, chances of survival are very dim. In a few cases, patients are seen to live only till 12 or 13 years of age. You cannot find Tay Sachs Disease in adults. People with Tay Sachs Disease do not survive till adulthood. If you are a member of a community susceptible to this condition like Ashkenazi Jews, it is advisable that you seek medical help before starting a family. Prevention, as they say, is better than cure. And it is nowhere more applicable than an incurable disease like Tay Sachs Disease.